Technology can only do so much – it’s people that are key to achieving change in our institutions; people to inspire, to challenge and to coerce their colleagues to deliver effective business change, deliver a quality student experience and to support world-leading research. The UCISA19 Leadership Conference recognises that cultural change is key to achieving successful implementation of technical solutions that support and drive the education business. The Conference this year explores the people side of delivering change and ensuring that our institutions have a diverse workforce with the skills needed to thrive in a rapidly changing sector. One of the most striking changes in the sector has been the development of the Waterside campus at the University of Northampton. We are delighted that Professor Nick Petford, vice-chancellor of the university, is opening our conference describing the vision behind the campus, the changes in the pedagogical philosophy that accompanied the new development and how technology supports the new campus and teaching model. We build on the theme of inspiring leadership on the second day of the Conference with a series of short presentations from business leaders. The rapidly changing technological environment requires a diverse workforce with the skills to adapt to new technologies and business pressures. Recruiting the talent required to meet evolving business requirements and to cope with technological innovations is challenging. We will be investigating different ways of attracting and recruiting staff in a panel session to highlight new and innovative practices. There has been significant coverage on mental health issues within the sector across the media. However, mental health is not just an issue for students – reductions in staff numbers, growing demands and dependency on IT systems and services build pressure on staff within IT services. 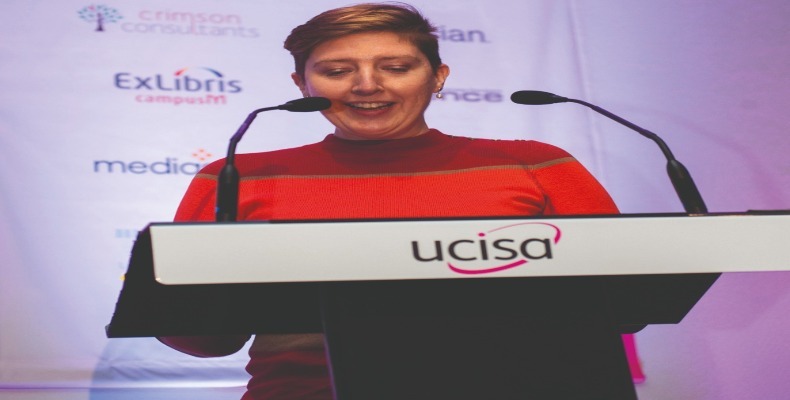 The pressures on staff were highlighted during a panel session on diversity at a recent UCISA conference where nearly 50% of the delegates indicated that they had suffered mental health problems. Talking about problems is part of the solution – at the UCISA19 Conference, Clark Carlisle, former footballer and chairman of the PFA, will discuss his challenges with mental health and addiction. We will also be highlighting good practice in raising awareness of these issues in the sector. Our primary sponsors this year are Amazon Web Services. Their keynote session brings many of the issues explored in earlier presentations, together with Ian Dunn, provost at Coventry University, speaking about the university’s focus on student experience, wellbeing and learning engagement through digital innovation. The Conference will also highlight the excellent work that takes place across the sector in delivering quality solutions and services that support institutions’ business. The institutional showcases will draw on the expertise of UCISA members in tackling issues core to service provision and give our members an opportunity to learn from their peers. One of the key benefits of the UCISA Leadership Conference is the opportunity to hear from our suppliers and partners. The partner showcases provide an opportunity to hear customers present on the value their partnership with suppliers has delivered to their institutions whilst the exhibition, which will comprise around 90 suppliers, provides the opportunity to hear of new developments and discuss the challenges being faced by IT departments within our institutions. We are grateful to all our exhibitors and sponsors for their support of the Conference. We look forward to welcoming delegates, speakers and exhibitors to the Edinburgh International Conference Centre from 27–29 March for what promises to be an inspiring and thought-provoking conference.